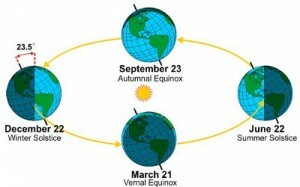 Friday the 23rd of September, at 2:04 A.M. PST is the first moment of Fall. It is the point where there is exactly 12 hours of daylight and 12 hours of darkness at the equator Cultures around the world celebrate this day as the Harvest, to reap what we’ve sown and celebrate the fulfillment of seeds planted that came to bear rewards. From vegetable gardens to life goals, let us celebrate the fruits of our labor and enjoy the change of season!